From left, Assembly Speaker Craig Coughlin, Gov. Phil Murphy and Senate President Stephen Sweeney at Murphy’s 2020 budget address in Trenton on March 5. The Murphy administration’s outlook for how much the state will have in its coffers by the end of the 2020 fiscal year is $182.6 million more than what the Legislature’s analysts project, and $109.2 million more than what is being eyed for the end of the current fiscal year — meaning the administration could more likely stave off spending cuts. With the numbers from the governor’s March budget largely on par with what was projected by budget experts from the nonpartisan Office of Legislative Services — an arm of the state Legislature which puts a price tag on any legislation — Gov. Phil Murphy would be much more likely able to avert the much-feared spending cuts that Moody’s Investor Services said might be necessary to balance the books. Current income tax performance sagged in January and was half of what the 2019 budget called for when it was enacted six months prior — 3 percent growth versus the projected 7.5 percent. If the state did not make up that amount, then Murphy would have to make considerable cuts to his proposed spending plan for the 2020 fiscal year, which starts July 1. The state treasury said the lag was because of changes to tax payment habits stemming from the 2017 federal tax cuts, which capped the state and local property tax deductions at $10,000. Treasury officials said that slow growth will be made up for in a so-called “April surprise” by the end of tax season, during which the state will make up for any tax money it has not yet received, and the OLS agreed. 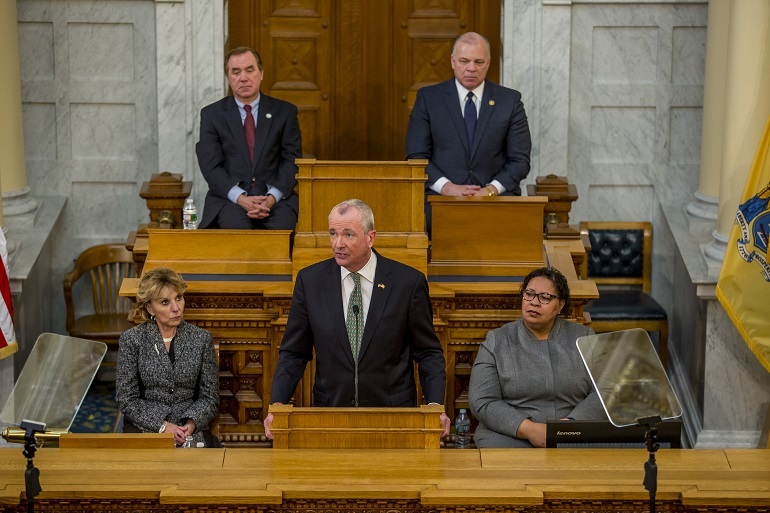 Murphy’s budget calls for the state to have a surplus of over $1 billion by the end of the current fiscal year which ends June 30, capping off the year with a $38.6 billion budget. The OLS’ budget analyses, released Monday, said that the state would have $109 million less than what Gov. Phil Murphy said the state would have in its revenue by the end of the current fiscal year. In 15 months, which is the end of the 2020 fiscal year, the state will ultimately have $292.2 million less than what Murphy calls for in his budget, the OLS said.